Tuesday, April 26, 2016 by: Isabelle Z. (NaturalNews) As more and more people become aware of the dangerous chemicals lurking in products from health and beauty items to food, the demand for "all natural" items is soaring. While this is certainly a smart approach on the part of consumers, the problem is that many companies use deceitful labeling practices that pass their products off as being more natural than they actually are. Now it appears that the Federal Trade Commission (FTC) is finally stepping in and taking action against these dishonest practices. They are now enforcing federal "truth in advertising," laws and have filed charges against five sellers of hair and skincare products that claim to be all-natural but contain synthetic ingredients. This is the first time that the FTC has actually gone after personal care products that falsely claim to be all-natural. Official legal definitions of "natural" on these labels do not exist, so companies have been getting creative and applying the label to products when only a few of their ingredients are derived from plant-based materials. Four of the companies in question have agreed to settle by changing their labels or dropping the all-natural claims on their products. These include ShiKai shower gel, Beyond Coastal sunscreen, Rocky Mountain sunscreen, and Eden BodyWorks shampoo. Some of the synthetic ingredients found in these products include the lubricating agent dimethicone and the preservative phenoxyethanol. The company behind Rocky Mountain sunscreen said that they changed the labels on the products in question shortly after the FTC contacted them about the matter. They apologized, chalking it up to a misunderstanding on their part, which led them to believe that the all-natural label applied even if only the product's active ingredients were all-natural. They added that the firm was not trying to mislead anyone. Meanwhile, the FTC will proceed with its lawsuit against the fifth firm, California Naturel Inc of Sausalito, for labeling sunscreen that contains the ingredient dimethicone as "all natural." The company sells 2.3 ounces of this sunscreen for $35, and claims it contains "Glacial Oceanic Materials" and botanically sourced antioxidants. The FTC notes that the synthetic ingredient dimethicone accounts for 8 percent of the sunscreen's formula, which is by no means a small amount. The director of the FTC's bureau of consumer protection, Jessica Rich, said, "Companies should take a lesson from these cases." A warning bell has been sounded, and hopefully the commission is prepared to go after even more products that use dishonest labeling practices in the future. The U.S. "natural" personal care product market noted sales of around $5 billion in 2015, and consulting firm Kline & Co expects this figure to rise 6 percent each year through 2019. Many companies charge extra for products that carry natural claims, so there is plenty of incentive for them to use some creative wordplay when labeling these items. 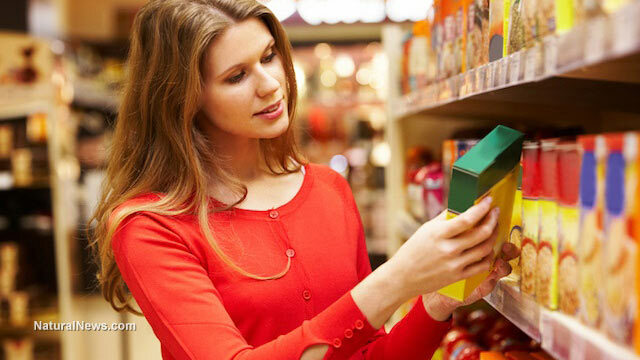 The personal care industry is not the only one where deceptive labeling is regularly used. Clean food activism has led growing numbers of people to demand to know exactly what they are eating, and brands that have been outed for deceptive labeling such as Kellogg's and Kashi are noting strong consumer backlash. Campbell's recently got on board with the honest labeling drive, coming out in favor of mandatory nationwide GMO labeling, and saying that people have the right to know what is in their food. Unfortunately, this only made the news because it is such an unusual move; many other food companies continue to use misleading labels. We simply cannot trust food labels completely, which is why books such as Food Forensics by Mike Adams, the Health Ranger, are so indispensable in this day and age. In this eye-opening read, food scientist Adams reveals the truth about the toxic ingredients that are hiding in common food products, so that you can choose wisely and avoid toxins, despite the prevalence of dishonest labeling in your local grocery store.